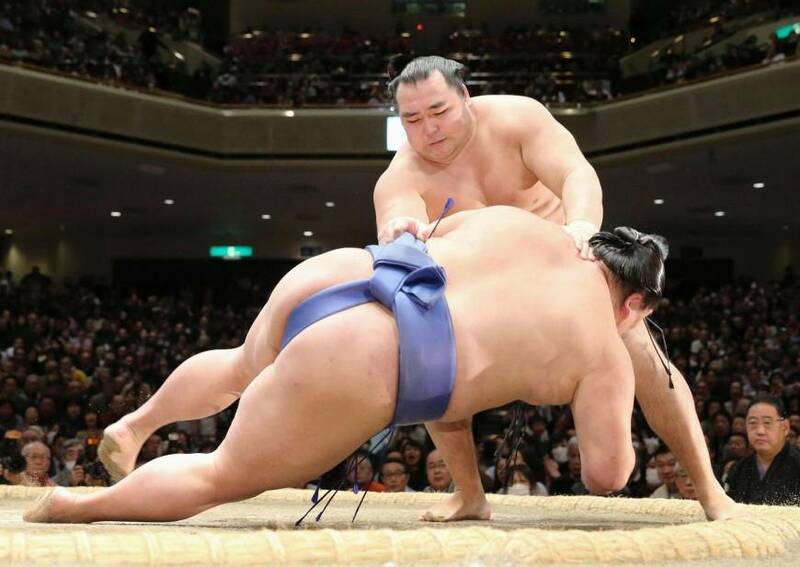 Grand champion Kakuryu has pulled out of the ongoing New Year Grand Sumo Tournament because of pain in his right ankle, his stablemaster Izutsu said Friday, the sixth day of the basho. The withdrawal of the 33-year-old leaves just one yokozuna in the 15-day tournament at Ryogoku Kokugikan — Hakuho who won all five bouts so far — as ailing yokozuna Kisenosato said Wednesday he will retire from sumo. “He said upon returning (to the stable) yesterday he’s experiencing pain,” Izutsu said. “I’m partly to blame because I made him compete even though he lacked preparation before the basho and he wasn’t in perfect shape. I’m very sorry for this at a time when Kisenosato quit and top-ranked wrestlers haven’t impressed,” he said. Kakuryu picked up his third loss in the year’s opening tournament Thursday when No. 1 maegashira Ichinojo scored his second “kimboshi,” a lower-ranked wrestler’s victory over a yokozuna, of the week. Kakuryu missed the entire Kyushu meet last November due to a right ankle injury. It is the 12th time in his career he has missed part or all of a tournament, 11 of them coming after his promotion to the top rank in 2014. His sixth-day opponent Hokutofuji wins by forfeit.